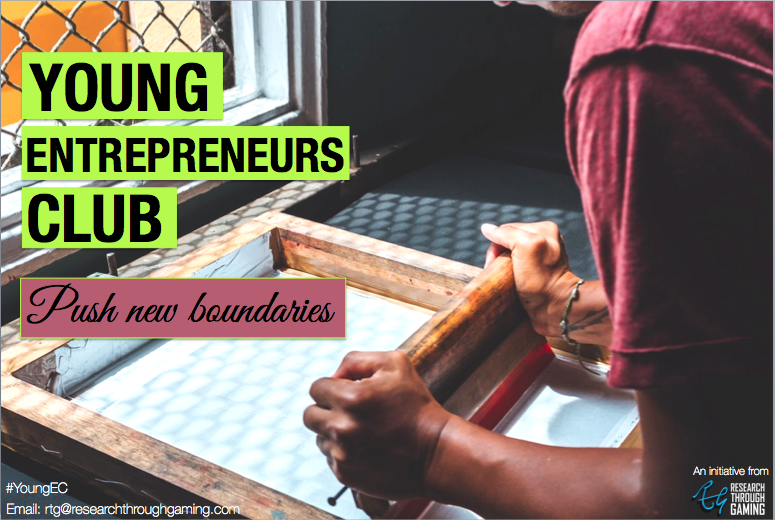 The Young Entrepreneurs Club is an initiative set up by Research Through Gaming to help under 18’s realise their potential for entrepreneurship. 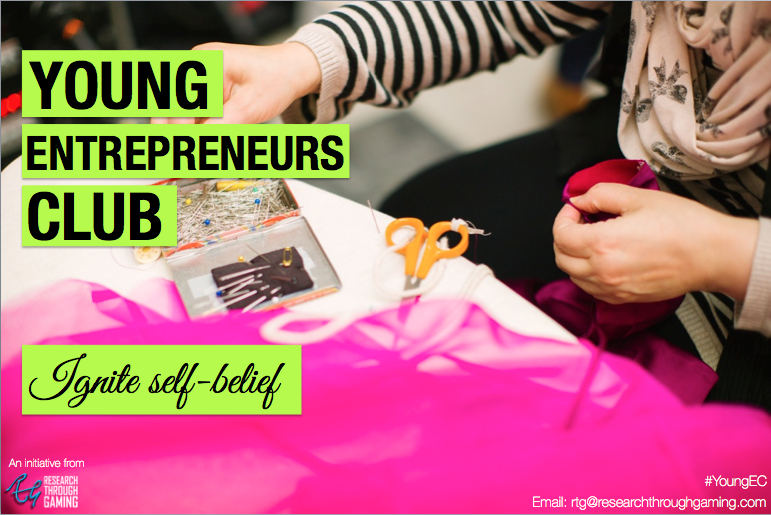 It’s a project we’ve kept under wraps for a little while but at long last we can reveal this new programme we’ve set up to encourage entrepreneurial spirit with students from local schools! 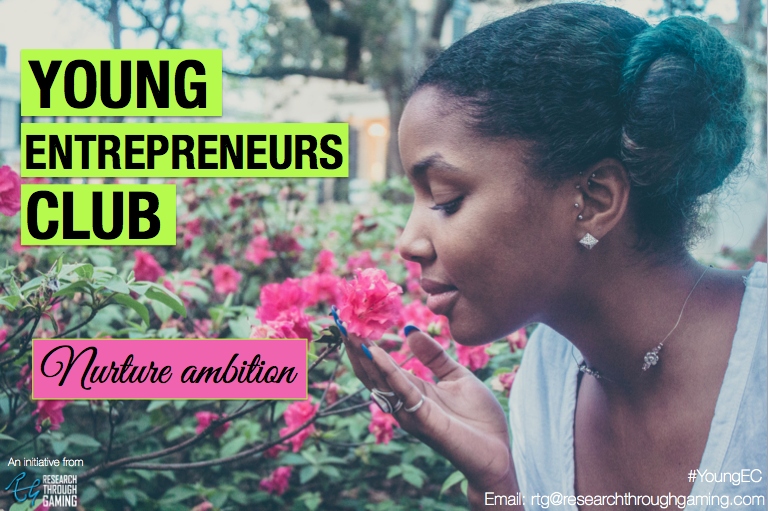 We are starting the Young Entrepreneurs Club in our CEO and Founder, Betty Adamou’s, old secondary school, Kingsmead, which is based in north London. 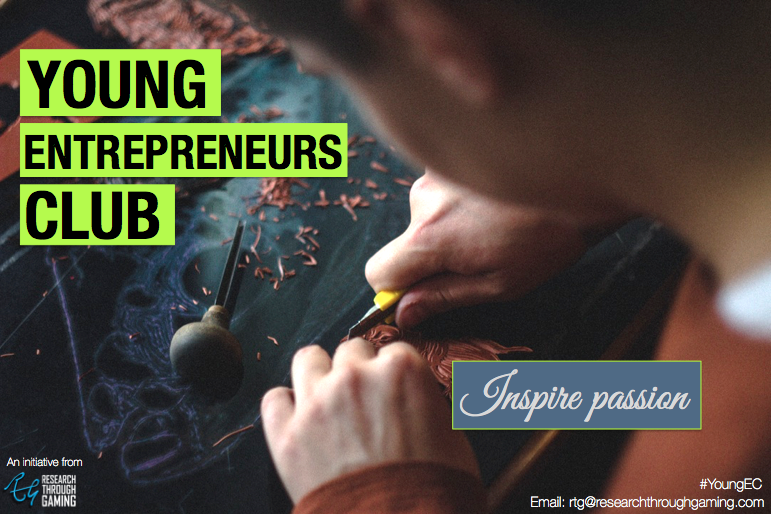 This Thursday 21st April 2016 will be our first ever session hosting the Young Entrepreneurs Club there! As you can imagine, not only is this initiative important for all of us here at RTG as we are passionate about encouraging the skills and disciplines that come with business ownership (and the fact that everyone involved in RTG also own their own successful businesses outside of RTG) but also a particularly passionate initiative for Betty Adamou, as she’ll be going ‘back to her roots’. RTG have always been passionate about helping students, from our many Guest Lectures at schools and Universities to contributing to students books for research, we wanted to do something that really gave back. The Young Entrepreneurs Club is a 10 week course that teaches under 18’s all those things that surprise entrepreneurs when they first start a business; getting a product/service off the ground, concisely articulating the benefits of what your product/service does, negotiating with suppliers, officially registering your business, dealing with competition, understanding profit and loss, pitching and presenting, marketing and much, much more. Our plan with the Y.E.C. 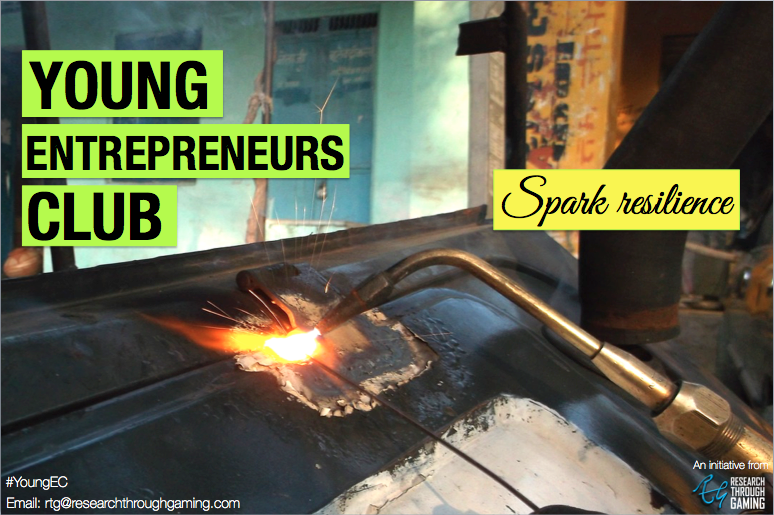 isn’t to necessarily ‘sell’ entrepreneurship to young people. The aim is to inspire ambitious under 18’s who think they may like to start their own business in the future and nurture that ambition through learning and activities as part of the course. Naturally, being that this is an initiative set up by a company that designs games with function, we are incorporating our own games in the course to help the children learn and gain feedback which will help them grow their skills and confidence in a way that’s fun and engaging. The Y.E.C. 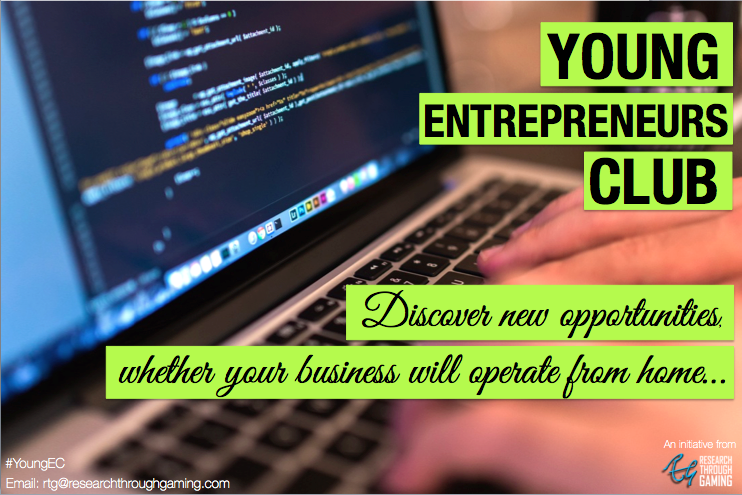 is a much-needed opportunity for under 18’s to see the reality of what is involved in starting (and maintaining) a business, while making the course an adventure teens can learn from, even if they don’t end up starting their own businesses one day. The Y.E.C. is also focused on the ‘local’ element. By having a local businesses owner run the course (as Betty is still within a stone’s-throw from her old school), and by including local business owners in some club sessions for Q&A’s and other activities, we’re hoping to bridge the gap between ambitious kids and their thirst for interaction with real business owners who they might see walking around in their own neighbourhoods. Yes, these kids grow up with the likes of Mark Zuckerberg and Richard Branson; self-made million and billionaires, but what they don’t necessarily see or get to hear about is the graft and adventure that goes hand-in-hand with the ‘over-night’ successes. By connecting these young people to local business owners, it will give them a rare opportunity to fill gaps in knowledge. It’s all part of the philosophy to teach what goes on behind the scenes in a way that’s realistic and inspiring. Our founder, Betty Adamou has the Y.E.C. close to her heart. She says: “I want each and every child who is in the Y.E.C. to never fear what they could become. To never see any obstacle as too big to overcome. I want them to be delirious with ambition and tell themselves that they can build the products/services/businesses they want and really believe that it is in their reach BECAUSE IT IS. Especially in this day and age where people can build empires from laptops at home and market through social media. I don’t want them to think that they can’t one day own their own business because they haven’t gone to some Ivy league school, or because their parents ‘don’t have the connections’. There are so many teens I’ve been lucky to meet through guest lectures while at RTG who have a wonderful amount of confidence and self-belief. I want the Y.E.C. to be the trajectory that spurs that kind of enthusiasm in a productive direction. RTG are entirely indebted to Kingsmead school for being so passionate about having us kick off the Y.E.C. initiative at their school this week, with 12 of their talented and ambitious students (who we cannot wait to meet!). Betty has always said how Kingsmead changed her life for the better as a young person. We’re so genuinely pleased we can now go back there and pay it forward. 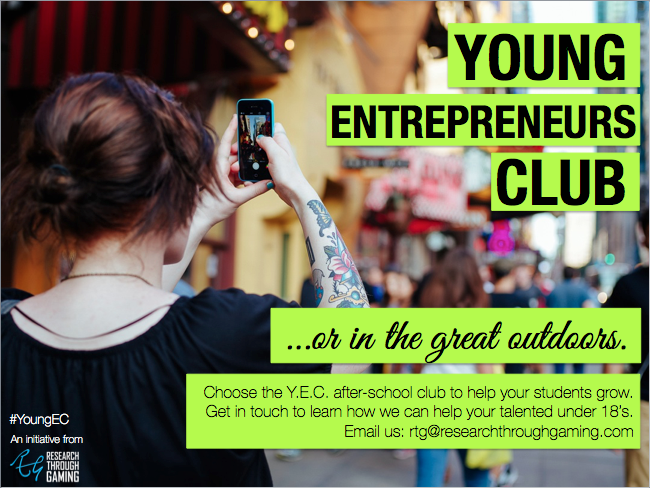 For other schools interested in the Young Entrepreneurs after-school club for their under 18’s, please get in touch with us at rtg@researchthroughgaming.com or give us a call on 0207 887 2241. Currently the Y.E.C. is available for schools in and around London, with expansion to other areas of the UK and countries in 2017 and 2018. Thank you to Unsplash.com for providing fantastic quality free images that we’ve used in this blog post and for the Y.E.C. posters. Thank you to the photographers Chetan Menaria, Tongle Dakum, Negative Space, Annie Pratt, Angela Litvin, Emarts Emarts, and Kris Atomic.